GUELPH, ON – Wellington Brewery has announced the release of a new limited edition summer seasonal. This refreshing kettle sour is a sip of pure leisure! Brewed with blueberries, raspberries, cranberries, and hemp, this tasty summer beer has a subtle aroma of lemon, and a sucker punch of tart berry notes. Serve up a glass of this high flyin’ birdie! 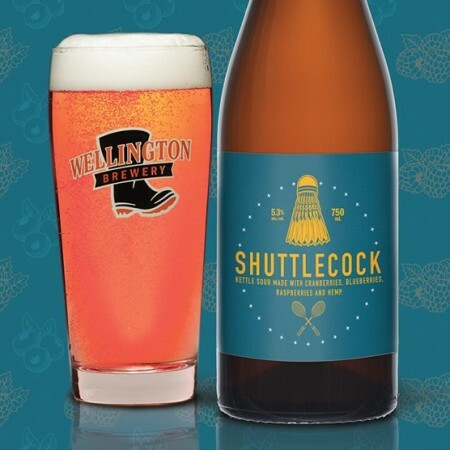 Shuttlecock is available now in 750 ml bottles exclusively at the Wellington retail store.